If you had told me that I could have fabulous, crunchy, salty chips without frying them… and from the MICROWAVE no less… I would have accused you of having what Diane Sawyer had on election night. While I’m far from perfecting them, here’s the recipe, and a few lessons learned! It's a Geico reference... these really are that simple. Cover large, microwave-safe plate with parchment paper. 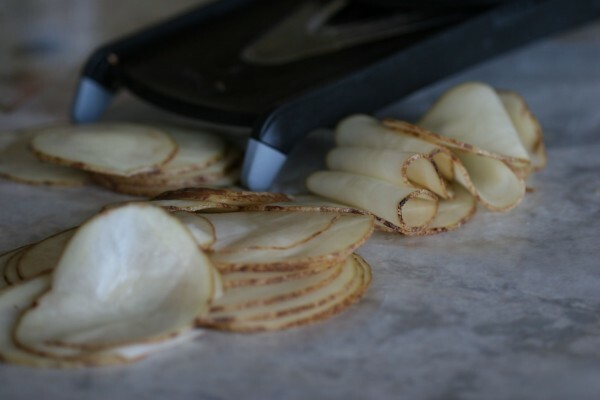 Slice potato super thin with a mandoline. (Trust me...I don't care how much of a precision-slicer you are, you need one of these). Toss potato slices in bowl with a couple of splashes of olive oil. Gently toss to coat. Spread in single layer on parchment. Sprinkle with salt. Microwave on High for 4 minutes. 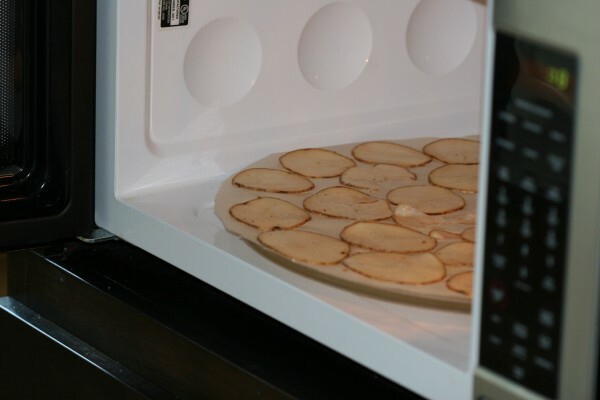 Flip chips and microwave for up to 4 more minutes, in 30-second intervals, removing chips as they begin to turn golden. 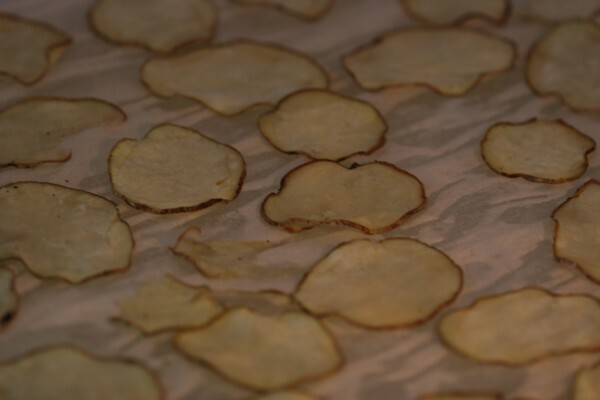 Transfer chips to paper towel-lined plate to cool. A mandoline is a must. I have a DeBuyer that is simple to use, and dishwasher safe. Love it! 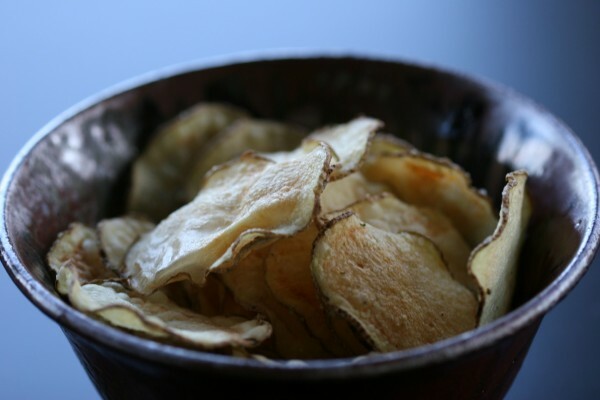 You don’t get a ton of chips per batch, but they’re so worth the wait! The first batch always takes a full 7 minutes, but I’ve found that subsequent batches take less time. Check the chips at 4 minutes, and then every 30 seconds, removing those that are just starting to get golden. Healthy Chips :: Pears & Sweet Potatoes & Bananas, oh my! Potato & Cheddar Waffles Summer Squash & Red Quinoa Salad :: Picnic Perfect!